Your loved one’s touch captured forever. And so true to life you’ll feel as though your loved one is with you wherever you go. 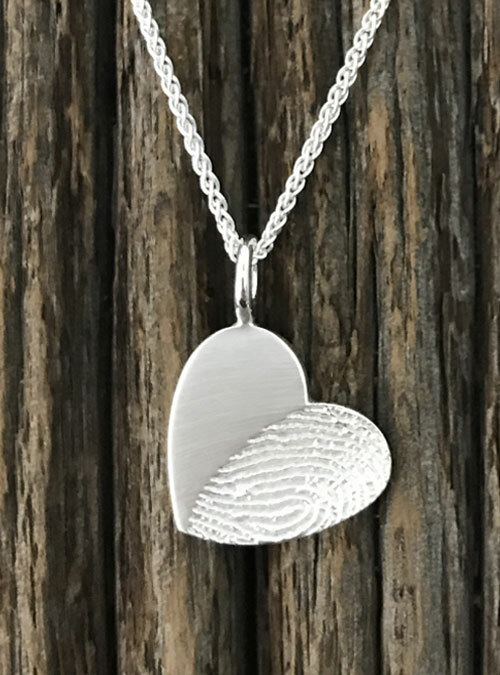 Your loved one’s fingerprint in high def on a heart shaped white gold charm, approx 19 mm in length and width (about the size of a nickel), with a white gold chain.